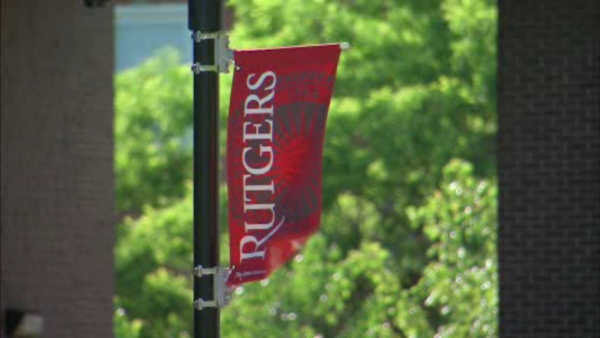 NEW BRUNSWICK, New Jersey (WABC) -- A man has surrendered in an attack on a woman earlier this month on Rutgers-New Brunswick's College Avenue Campus. Police announced that Saturday morning Michael P. Knight, 37, of Newark, turned himself in to police on charges connected with a severe beating of a female student in New Brunswick. According to police, the victim yelled for help after allegedly being attacked near Van Dyke Hall along College Avenue around 3:30 a.m. May 4. There were witnesses nearby, and the suspect fled on foot toward Seminary Place. Authorities said he struck her on the head, severely beat her and was attempting to sexually assault her when other individuals intervened. As he fled, he said he had a gun and threatened to shoot one of the men who chased him. The victim was treated at Robert Wood Johnson University Hospital in New Brunswick for non-life threatening injuries. Knight is being held in lieu of $1 million bail on charges of aggravated assault, attempted aggravated sexual assault, aggravated sexual contact, kidnapping and endangering his injured victim during the attack. Knight also was charged with terroristic threats for threatening to kill one of the people man who attempted to follow Knight as he fled. The investigation is continuing. Anyone with about the case is asked to call (848) 932-8025 or (732) 745-8675.